We do our best to be as flexible as your needs are. We offer a choice of yearly or month-to-month lease terms, with competitive rates. We also offer great monthly specials. Our manager lives right on the premises, offering another level of security and assistance in an emergency. 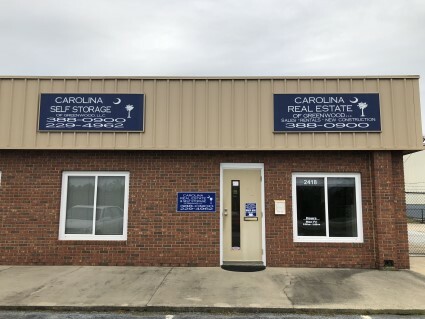 After signing up for your storage unit, you can access the lot 24 hours a day, 7 days a week. After all, they are your things… you should be able to get in whenever you choose. You can choose your own individual access code, making it easy for you to enter the lot. All gate activity is logged for security purposes. With 16 different video cameras recording 24 hours a day, discourages illegal activities. Similar to storing in a spare bedroom, our climate-controlled storage is the answer for long-term storage or valued property. Available in a variety of sizes. All of your packaging, packing, moving and storage needs in one convenient location. Local phone, fax and free Wi-Fi. Truck is available by appointment. Driver must have valid driver's license. Driver must have a major credit card.